When the Pakistani army and bureaucratic establishment realized that Mujib-ur-Rehman’s Awami League and Zulfiqar Ali Bhutto’s PPP were attracting people—with no other party able to draw even 5000 to its rallies—they imported Zohra Fona, a woman from Indonesia, pregnant with Imam Mehdi. She had visited several Islamic countries, it was propagated, where rulers had offered prayers in her Imamat [i.e. she led the prayers even if a woman is not supposed to do that]. Many Muslim intellectuals and scholars claimed through their writings and lectures that the time for Imam Mehdi’s appearance had arrived. A new Islamic world was about to emerge. During this period the Islamic parties, including Jamat-e-Islami, perpetrated violence. Members started attacking liberal and progressive professors, doctors, writers, journalists as well as their houses. They also burned many libraries and collections of books. Zohra Fona claimed that the child in her womb recited Azaan [call for prayers] and could lead the prayers. Ulema like Maulana Okarvi and Ehtesham Ul Haque went to see Zohra Fona and listened to Azan with ears close to lady’s womb. Prayer events were arranged for her in open places as well as in the larger mosques, and the Ulema [religious scholars] were praying behind her. She would stretch her legs towards Kaaba [Mecca], directing her womb toward the pulpit. Suddenly Azaan would start coming from her womb or from another private part. The Ulema were so shameless that they were offering prayers while focusing their eyes on her private parts. Back then the left was very organized so it was difficult to explain this farce. Finally the Pakistan Medical Association and doctors at Jinnah Hospital, Karachi decided to unearth the drama. Several lady gynecologists were asked to help; they knew that this kind of thing could not happen. But Zohra Fona was very clever. Whenever doctors were pursuing her to take a medical examination she avoided with help from the Pakistani security forces. But one day, when she was unable to escape, the doctors of Jinnah hospital, Karachi conducted an examination. The doctors recovered a small tape recorder from her womb. Zohra Fona, a blessed Indonesian woman, arrived in Pakistan just ahead its first general elections. She was said to be expecting a child who would be Imam Mehdi. She had visited several Islamic countries where, and it was propagated, that rulers had offered prayers in her imamat. Many ulema began to claim that the time for Imam Mehdi’s coming had arrived. Zohra Fona claimed that the child recited Azaan. Reputed ulema like Maulana Okarvi and Ehteshamul Haque met Zohra Fona and listened to the Azaan with ears close to the lady’s stomach. She began to draw huge crowds to mosques and parks where she led prayers. Our reputed ulema would join the prayers. Woe betide this country! Some leftist and agnostics at Karachi’s Jinnah Hospital decided to put the legend to scientific test. It was revealed that the holy woman was not even pregnant with an Azan-reciting messiah but had a recording device tied to her body. She immediately left for Indonesia once the farce was exposed. Just as theater and film sometimes deploy “deux ex machina” interventions to immerse their audiences more deeply into their created micro-worlds, so have shamanic performances. 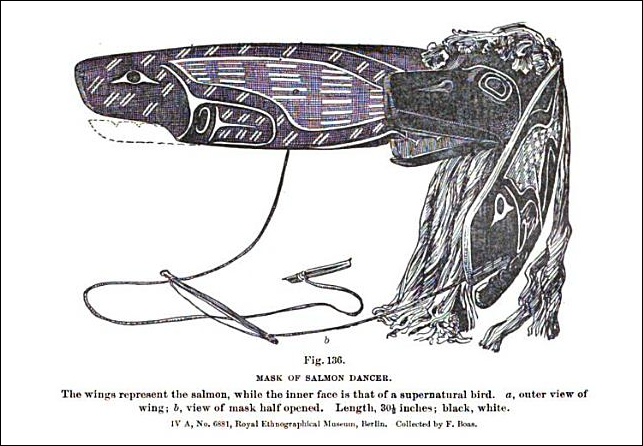 It’s my recollection that [Tlingit / Kwakiutl winter ceremonials] were both entertainment for the long winter nights and “schooling” for the young, and I have a vivid recall of reading somewhere a shaman’s admission to an anthro of the exact nature of the dramatic means by which the shaman’s capacity to defeat death was demonstrated. I read this in the early eighties, but searching on the web I’ve found something that comes close — Clellan Stearns Ford’s record of Charles James Nowell’s memories in _Smoke from their fires: the life of a Kwakiutl chief_. Around p 120, there are two stories, the first about a girl who “turned the wrong way” during a dance, the second about a girl who is put in a box and burned. In both cases, the nature of the trickery is described but in the version I read all those years ago, the two stories were one — the girl who was put in a box in the fire pit and “burned to death” escapes through a false bottom to the box along a tunnel into the adjoining room, and her voice then issues as if from her ashes, via a kelp tube that goes from the tunnel to the adjoining room where she’s now standing. She describes her descent into the sea realm, where she is chastened and eventually granted a boon to return to the tribe. A canoe sets out to fetch her, but by the time the audience sees it set out, she’s already secured by rope to the far side of the boat, and at a suitable distance is hauled aboard and brought back to shore, alive. A child seeing this would be mightily predisposed to believing the shaman had healing powers, and by the time the ruse was revealed, that underpinning of faith is already in place. Do we have anything to equal them?